Amtrak Plans Bensalem Pullout for October. Though publicly showing no intent to stop all Amtrak service to the Cornwells Heights station in Bensalem, Amtrak’s public relations arm privately admitted on August 12th that behind closed doors the decision has been made to cease all Amtrak service to Bensalem in October. Item 1: Amtrak correspondence confirming Bensalem October pullout, dated August 12. Item 2: Follow-up note from Amtrak stating that the decision has already been made. Item 3: Online Bensalem-to-New York schedules showing Bensalem service increasing. Item 4: Online New York-to-Bensalem schedules showing Bensalem service increasing. “CON” Answer: Because after eight years of operation, ridership remains low. information concerning other Amtrak riders. slightly edited from the original. Heights 1,600-space free Park-and-Ride in November 1997. 1: New York commuters are completely unaware of the existence of the convenient Cornwells Heights Amtrak commuting stop. The publicly available Northeast Corridor schedules and maps available to New Yorkers in Manhattan’s Penn Station do not even show that Cornwells Heights exists. 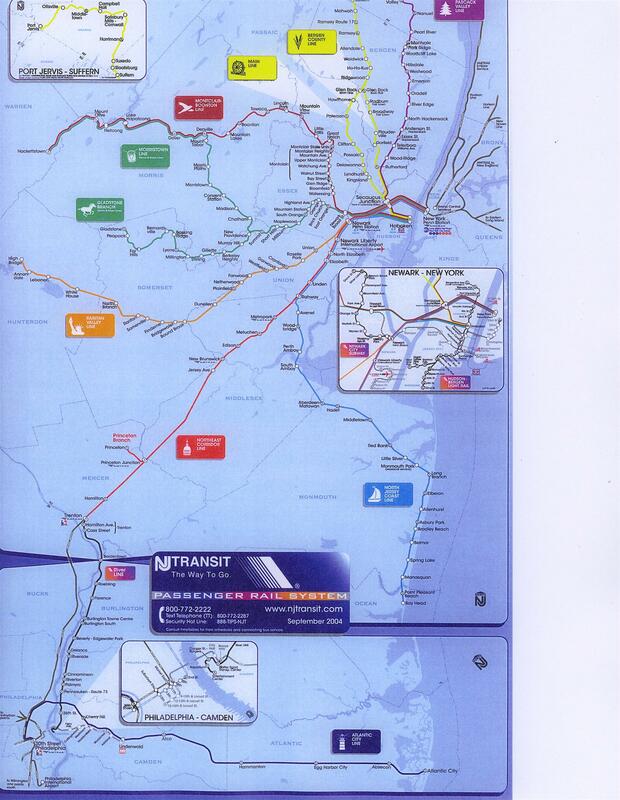 The publicly available schedules and maps are printed by New Jersey Transit. We are off the schedule; off the map; off the radar. 2: Pennsylvania’s highly subsidized 11 Amtrak Keystone trains provide 6 to 11 daily trains to New York City from 11 cities west of Philadelphia all the way out to Harrisburg. All of them travel through the Cornwells Heights station. The one Keystone train that currently stops will just pass on through in October. 3: Amtrak is canceling all Bensalem service without the consultation of local government and planning agencies or consumer feedback, and apparently without even trying to understand what happened to derail the once projected rapid ridership growth of the station. Bensalem’s commuters have yet to be officially notified of the impending closure. Still, as of September 5, 2005, Amtrak’s online schedule boasts increased service to Bensalem coming on October 31st. Telephone calls to Amtrak inquiring about rumors of closure reveal nothing. Repurposing just one Keystone train as a stopgap measure could save the Cornwells Heights New York City commuting station from extinction. 4: Only a small percentage of the population of Bensalem is aware that Bensalem has Amtrak service connecting it directly to Manhattan in as little as one hour (actually measured at 59 minutes, when 3 minutes ahead of schedule, sometimes on the current Keystone out of Manhattan). Many Bensalem residents are unsure where “Cornwells Heights” is, and do not realize it is part of Bensalem and an old name for a section of same. 5. There are no Amtrak schedules posted at the Cornwells Heights station. There are none in racks. The station office has none. I asked the station agent, a very helpful and friendly woman who has served the station since before the Park-and-Ride was built, why there were no Amtrak schedules or any other form of Amtrak information at the station. She replied, “Well, Amtrak used to send me the schedules from time to time, but they just quit sending them about two years ago. I don’t know why.” She is employed by SEPTA, not Amtrak. As for service to New York, she thought, “There’s only one at 8:10.” She had no knowledge of the more popular 6:55 train; she is not tasked to. As for south-bound Amtrak service, she knew that some trains stop there after she closes the station at 1 p.m. every day, but had no idea how many or when. Amtrak at the Cornwells Heights station is even off its own radar. even show that Cornwells Heights exists. There are 11 Amtrak trains which leave Harrisburg for New York City each weekday. Three of them require switching to another Amtrak train at Philadelphia. Eight make the entire physical run from Harrisburg to New York. All pass through Bensalem’s Cornwells Heights station. One stops. Of the 13 Pennsylvania cities serviced by the 11 Keystones, all receive at least 6 trains stopping every day, except for Bensalem, which receives only one, and that is to be cancelled in October. Repurposing just one of the Keystones off the Harrisburg-to-Philadelphia portion of its run could give Cornwells Heights twice-daily New York City service in both directions and so preserve for future growth the Bensalem-Bucks-Northeast Philadelphia community of New York City commuters. Item 1: The Keystone schedule. The Trenton Amtrak station services hundreds of daily New York commuters, almost none of whom live in Trenton. 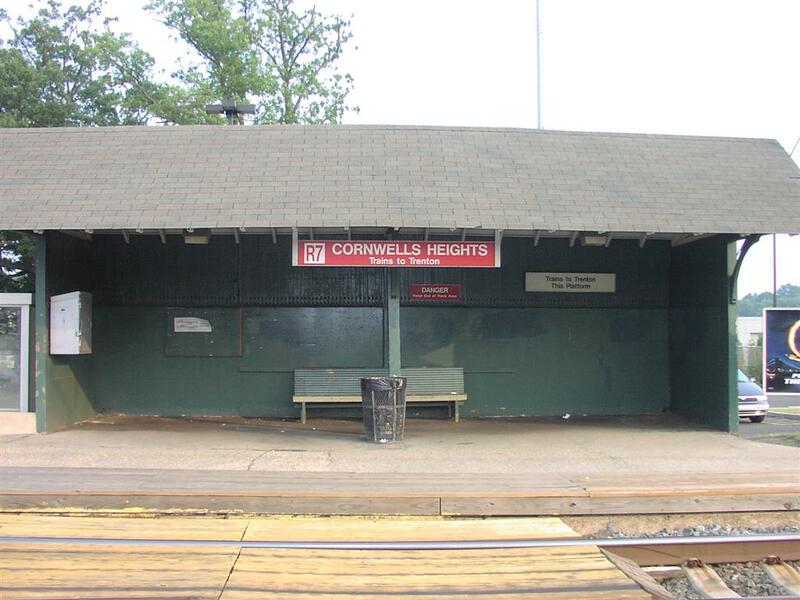 Cornwells Heights is 11 minutes from Trenton by just staying on Amtrak instead of getting off the train. Trenton commuters hardly know this at all. 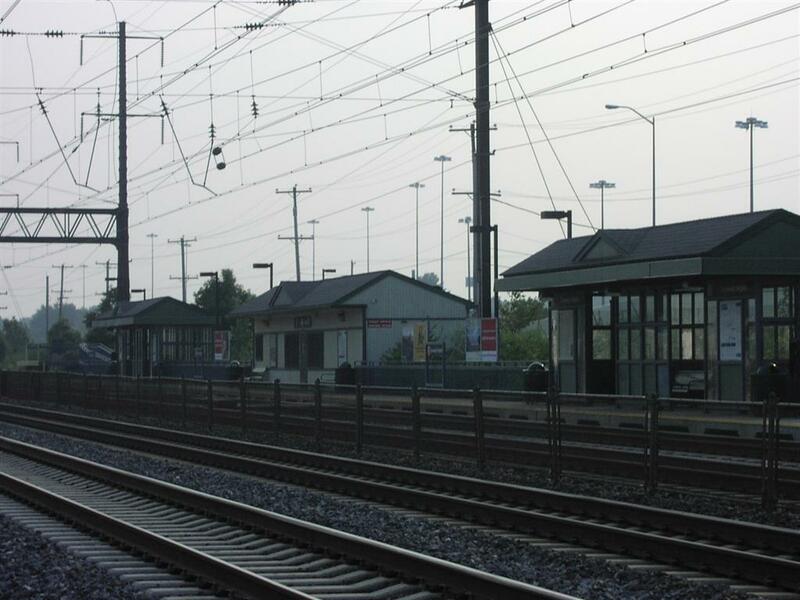 With the overhead of parking and the drive to and from Trenton, the Cornwells Heights station actually offers Lower Bucks and Northeast Philadelphia commuters a superior way to live in a good location with fresh, new, upscale housing – as good as or better than commuting through Trenton, in many ways. The large majority of Cornwells Heights commuters [numbering about 50 per day before April’s Acela total collapse in April cut the number of Cornwells Heights trains to New York in half, reducing ridership to about 40 due to loss of the earliest 5:56 train] will each have to drive nearly 8,000 extra miles per year and spend an average of about an extra $2,000 to cross the Delaware out of the state to Trenton, New Jersey in order to keep their full time jobs in New York. Parking at Cornwells Heights, with its own exit off I-95, is free. Eight hundred parking spots go unused there every day. New construction in New Jersey – outside Trenton, but with a more difficult commute than Bensalem’s riders have – is selling for prices comparable to Bensalem’s new developments. At one such community under construction, sales agents reported “gobs” of New York commuters buying homes there, estimated by one agent at about 1 in every 5 new homes sold. In Bensalem, the new Belmont Ridge development reports no known New York commuters, and the Wellington Estates development, offering over 200 new luxury homes within two miles and not more than five easy minutes of the train station door-to-door, reports only one sale to a New York commuter, and he reportedly plans to commute through the Trenton station (probably because he doesn’t know that Amtrak stops within two miles of his new home, or perhaps, if he has managed to discover the Amtrak station in his very back yard, because Amtrak’s recently decimated schedule cannot now meet his commuting needs). Item 1: Web site of Bensalem’s Wellington Estates development. Item 2: Web site of Bensalem’s Belmont Ridge development. Item 3: Web site of suburban Trenton’s Cross Creek development. Bensalem is slated to soon become home to racino gambling and thousands of slot machines at the former home of Smarty Jones, Philadelphia Park, ten minutes from the Cornwells Heights station by any future shuttle bus the casinos might wish to run. Item 1: Comparative public transportation times and fares for New York gamblers. No one in New York City knows where “Cornwells Heights” is. Almost no one in Philadelphia does either. For that matter, most of the people in the former Cornwells Heights (a former Bensalem postal address, not actively used since the Bensalem postal consolidation of 1979) do not know where Cornwells Heights is. It is the name of a town that can no longer be found on most modern maps. You can’t ride a train if you can’t find it. Changing the station name to “Bensalem” would at least ring a geographic bell with Philadelphians and give them a clue as to where to find the station. Changing the name to “Bucks Bensalem” would ring bells in the ears of New Yorkers familiar with the many good things Bucks County stands for. It also alliterates well. Perhaps half the reason that the Cornwells Heights Park-and-Ride has flown under the radar for nearly eight years is that the name is a locationless enigma. Making it a New York commuting outpost with a more easily recognizable name is likely to do great economic good. These are my personal suggestions for keeping Amtrak service in Bensalem, and for growing it. 1: Call a timeout before Amtrak publicly declares Bensalem service doomed. (Preventing Amtrak from “pulling the trigger” heads off the more difficult battle for a retraction.) Current news stories about the station’s demise are all derived from a Bucks County Courier Times investigation which I myself instigated. Online Amtrak schedules and calls to 1-800-USA-RAIL, as of September 5th, 2005, still claim that the station will survive indefinitely into the future. To paraphrase Mark Twain, reports of Cornwells Heights’ death have been greatly exaggerated. 3: Restore Bensalem service at least to the level it was at until the spring of this year when the breakdown of all Acela trains pulled half the Bensalem trains off their old routes. (Getting back to 4 daily trains into New York City instead of the current 2). 4. Find a way to finance an upgrade to the New York-bound waiting facilities in Bensalem (pictured in Item 2). More seating capacity, better shelter from storm, and perhaps a sanitary facility of some sort would help, and would also help convince New Yorkers that we’re a serious commuting site. 5. Rename the station and the Park-and-Ride with the dual purpose of helping others understand where the station is, and enhancing the distant public’s imaginings of Bensalem’s station. First choice: “Bucks Bensalem” (plays well in New York, alliterates better that “Bensalem Bucks”); Second choice: “Bensalem”. Item 1: Picture of Bensalem’s Philadelphia-bound waiting area, with heated ticket office. Item 2: Picture of Bensalem’s New York-bound waiting area, with an open bench for 4.